Okay….another Monday—another opportunity to start the week with a bang!! Last week we gave your Monday Purpose; so that’s a start. But, if you’re like me….the Procrastination Queen….you got bogged down towards the middle of the week. Well, that’s okay. Another Monday–another chance for a new start. Let’s get you back on track……. Sometimes, when we are least expecting it, maybe riding home from work or taking a walk with your dog, or maybe (if you’re like one of my friends), you’ve filled up the bathtub with lots of hot water and mounds of bubbles and “brilliance” just pops into your head. 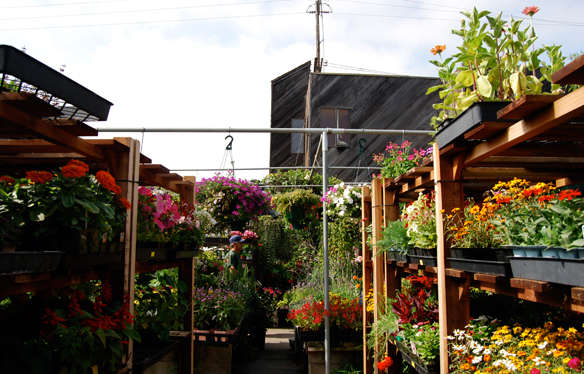 With Spring just around the corner, I had the opportunity to go with one of my neighbors to a beautiful (and very inspiring) flower and plant market here in Los Angeles on Sunset Boulevard. The colors and the smells and the butterflies and bees and possibilities of so many choices was a bit overwhelming; but inspiring all the same. Yippee! Spring! We were there to buy some vegetable plants to put in pots on our back patio area. My neighbor is a landscape designer; so it was this unbelievable educational moment as we were winding our way through all the flowers and plants and she could tell me exactly what they were and how they grew and how big they would get…..and, most importantly, why they weren’t meant to be put in our little pots on the back patio! I, of course, pick colors more often than what will grow in certain places…..there IS a reason it says “shade only and lots of water”. Nature created the rules and they are NOT to be broken. High Hopes for a Bountiful Crop!! Another neighbor joined us to get in on the fun. He loves to cook; so high hopes that we will have some great dishes to try when our garden matures. As you can see from the picture, we just have containers for the plants; but have planted several kinds of tomatoes, bell peppers, hot Thai peppers (another neighbor requested it specifically—we were challenged to choose the hottest ones we could find), squash, cucumbers, and seeds of green beans, cucumbers and basil are there for the surprise of their peeking up through the soil once temperatures are right. 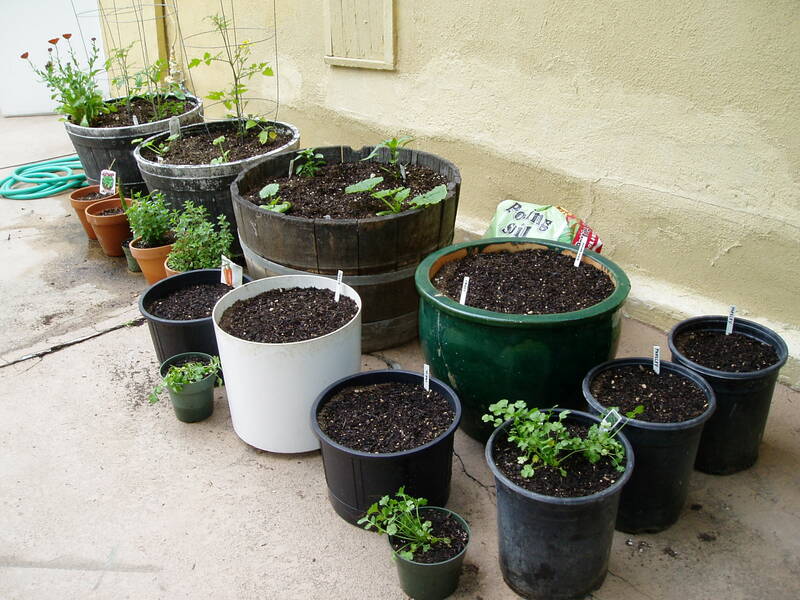 We continued to gather any size pots we could find and quickly our garden ‘grew’. Added, radishes, carrots, beets, cilantro, and parsley. Will share some pictures with you as they progress. The best part is to have others joining in. We’ll take turns watering and fertilizing and probably battling a few bugs too. It makes me realize how easily things get accomplished and how enjoyable they can be when others join in. The three of us, together, made a difference…..helping the environment, growing vegetables to eat healthier and even saving money instead of purchasing the vegetables we’re growing…..all the while having fun! 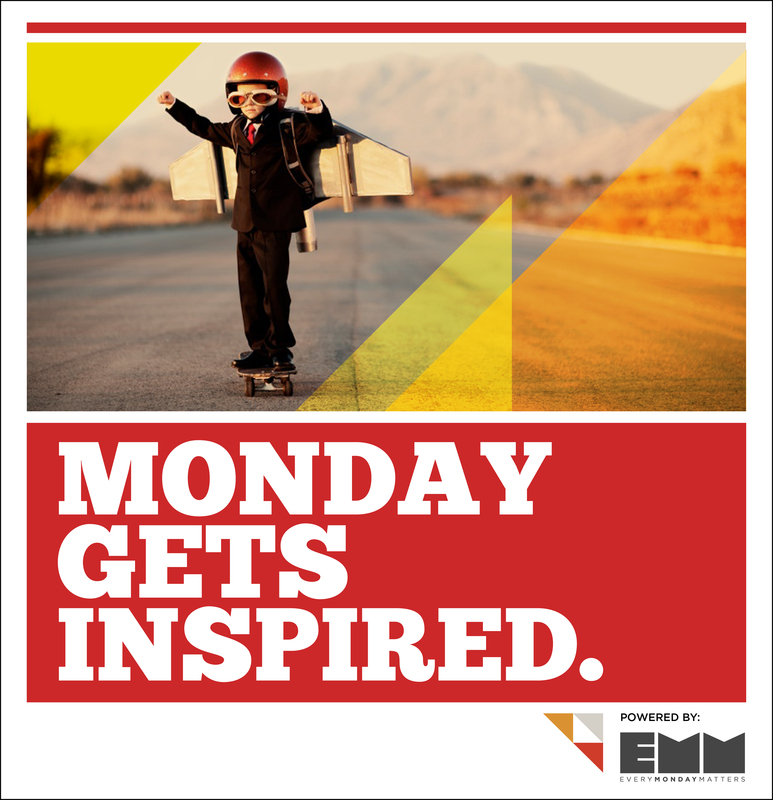 So…..what are you inspired to do today? Write a novel, paint a masterpiece, train for a marathon or (in true Hollywood style) produce an epic movie? Those aren’t on my list this week (or probably not in my lifetime); but ‘go for it’ if you feel the rise of enthusiasm perking in you. I’m more about just writing a short note to a friend or painting my nails or maybe feeling a bit more energized to walk my dog, Tramp, around a few extra blocks. Remember, it’s got to be what makes you feel good about yourself. Always remind yourself that “You Matter”. It’s a very important lesson to learn. And, soon, you will find that you want to share that feeling with others. Are you getting the picture? You make a difference in yourself—then you help others do the same. Remember–You’re not alone. 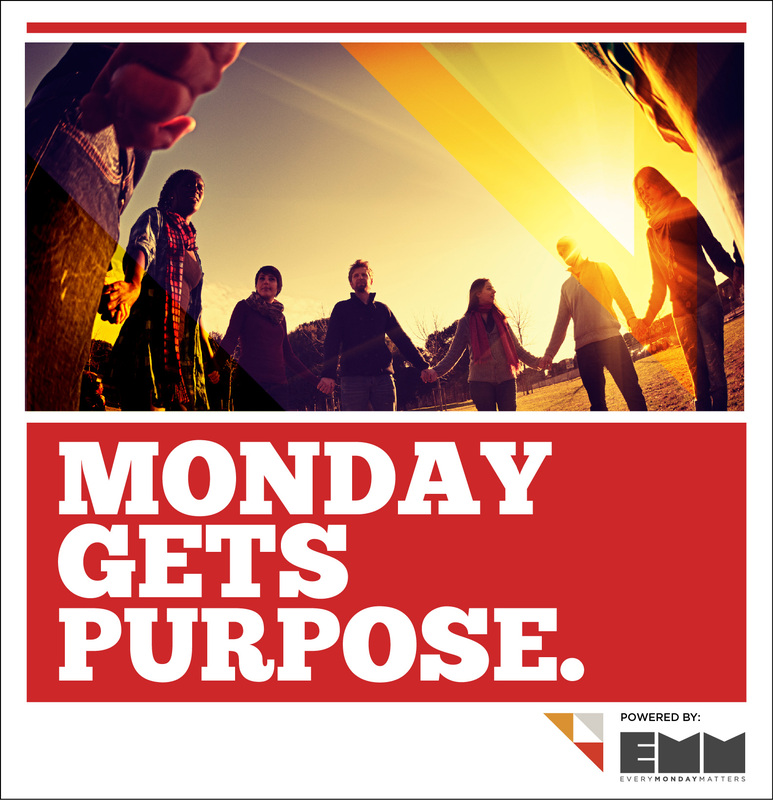 The Every Monday Matters team is behind you. and, let the inspiration juices flow. See you next week. Be sure to leave a comment of what inspired you….or maybe even what you did to inspire someone else. This is my first blog and I’d like to tell you about myself and how this writing idea got started.